You don't come to us… We come to you! 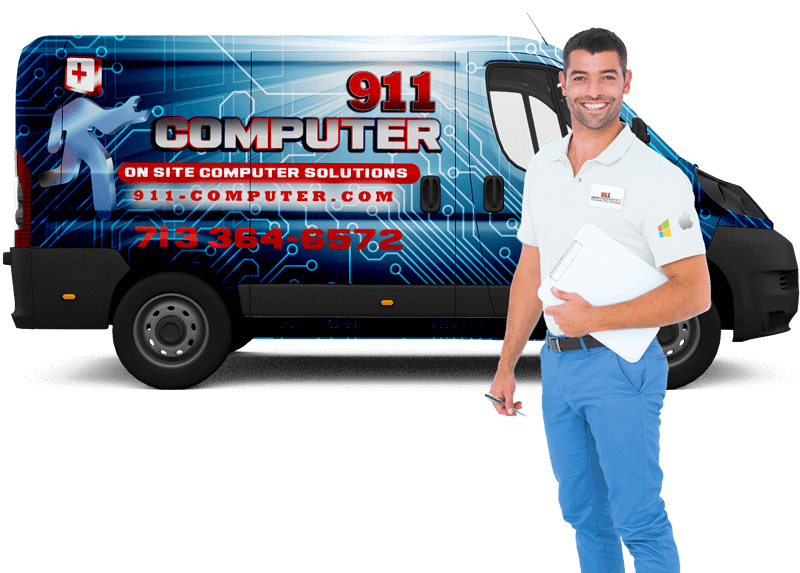 911 Computer is an IT Company for home and Small Business who is serving Houston since 1986 as a Full Service Computer Repair/Computer Service company providing computer help for Small Businesses, Professionals, and Residential clients. We have fully trained certified professionals available at a fraction of the cost typically associated with this level of computer service provided by other companies. 911 Computer offers the customers a full range of computer and home theater services, at prices far less than brand name stores and travelling computer squads.911 Computer caters to consumers and small businesses who need computer help but are frustrated with paying too much for repair with mediocre results. Our services includes laptop screen repair, wireless networking, website design, virus removal, remote help and all with warranty.